Scientists are making progress in understanding this complex disease whose cause is unknown. Lupus is a complex disease whose cause is unknown. It is likely that a combination of genetic, environmental, and possibly hormonal factors work together to cause the disease. The exact cause may differ from one person to another. Research suggests that genetics plays an important role; however, no specific “lupus gene” has been identified. Instead, it appears that several genes may increase a person’s susceptibility to the disease. In lupus, the body’s immune system does not work as it should. A healthy immune system produces antibodies, which are special proteins that help fight and destroy viruses, bacteria, and other foreign substances that invade the body. 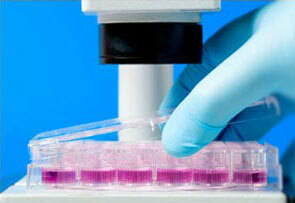 In lupus, the immune system produces antibodies against the body’s healthy cells and tissues. These antibodies, called autoantibodies, contribute to the inflammation of various parts of the body, causing swelling, redness, heat and pain. In addition, some autoantibodies join with substances from the body’s own cells or tissues to form molecules called immune complexes. A buildup of these immune complexes in the body also contributes to inflammation and tissue injury in people with lupus.